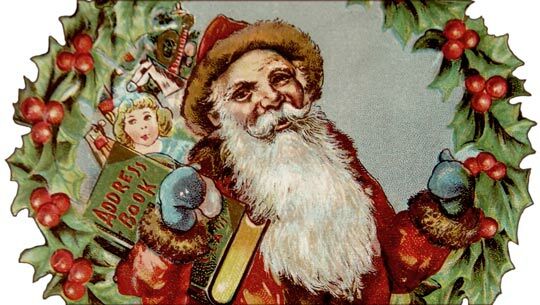 A vintage picture of Santa from an early 1900’s antique Christmas postcard. 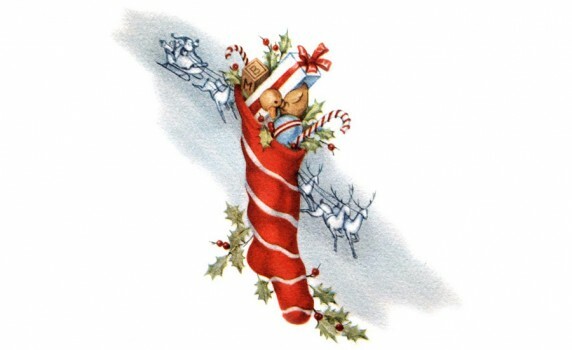 A 1940’s Christmas card image of a stuffed stocking full of presents with Santa in the background. 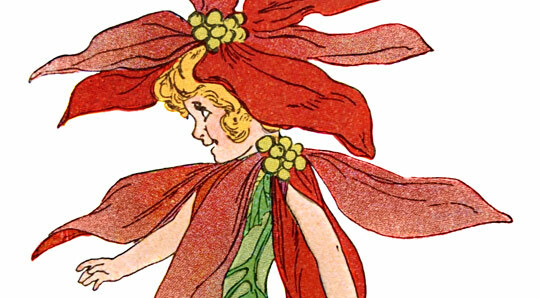 A free print from Elizabeth Gordon’s Flower Children book of a Christmas Poinsettia flower girl. 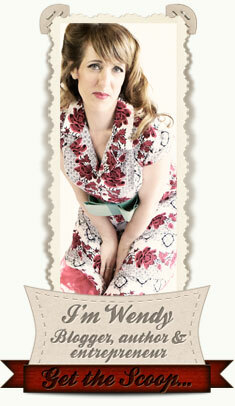 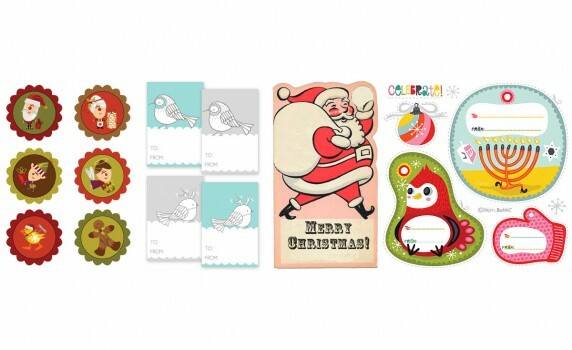 10 sets of free printable vintage and retro gift tags for Christmas, Hanukkah, or generic gift giving. 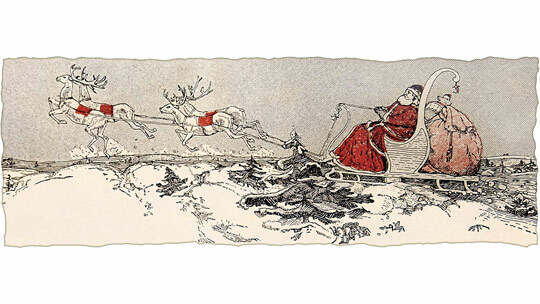 Vintage Santa in his sleigh clip art – both printable version and a free high-resolution download. 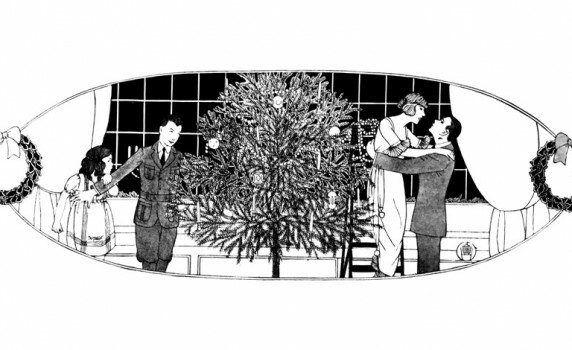 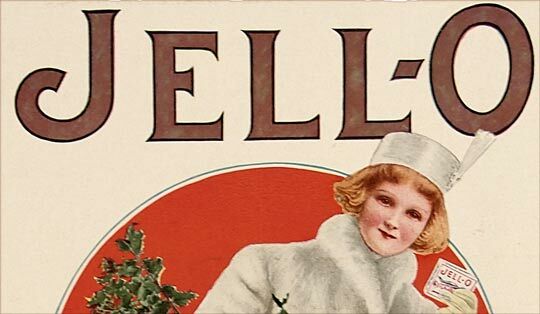 A printable version of a Christmas ad for Jello from 1912 – with a weird surprise hidden in the image! 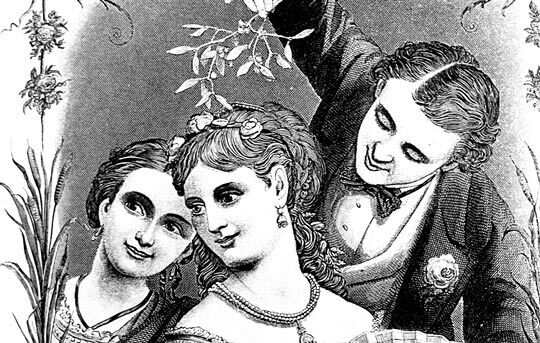 A large Victorian era Christmas image of two ladies and a gentleman holding mistletoe over their heads. 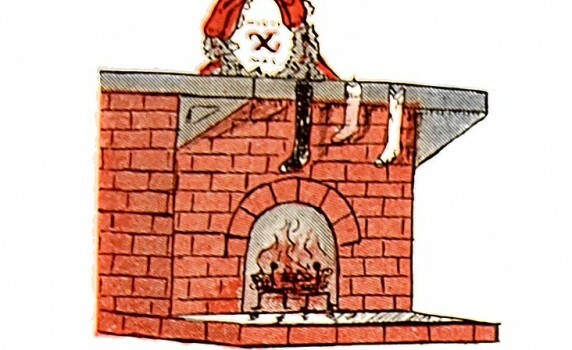 A vintage 1912 printable Christmas paper craft model of Santa Claus’s chimney. 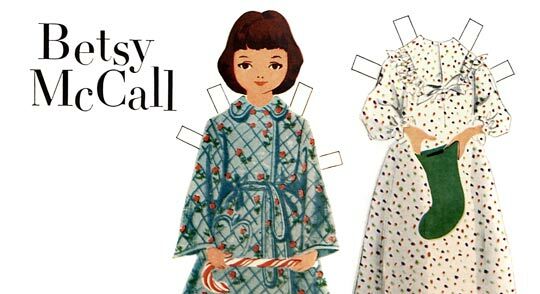 A free set of the first Betsy McCall Christmas themed paper dolls from 1951.